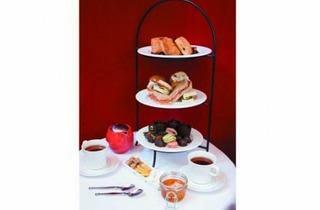 Six spots to sip tea and eat finger sandwiches. For the charm of an afternoon tea without the stuffiness, head to this casual Loop restaurant for sandwiches, scones, sugar cookies, strawberries and (of course) teas. 1 W Washington St (312-368-1900). 1:30–4pm daily. Through Dec 31. $25, kids $18. Teatime is elegant but playful at the French restaurant at the Sofitel, where treats such as cranberry lollipops and passion fruit éclairs are offered withHarney & Sons teas. Housemade marshmallows and hot chocolate appeal to those still developing their sophisticated palates. Sofitel Chicago Water Tower, 20 E Chestnut St (312-324-4063). Saturdays and Sundays from 2–5pm through the winter. $30, kids $10. A real-life demonstration of the principle that “giving is getting,” the Holiday Afternoon Giving Tea at the Four Seasons rewards kids who bring a toy to donate to the hotel’s Toys for Tots Drive with a complimentary afternoon tea of peanut butter and jelly sandwiches, gummy bears and a choice of milk or hot chocolate. 120 E Delaware Pl (312-649-2363). 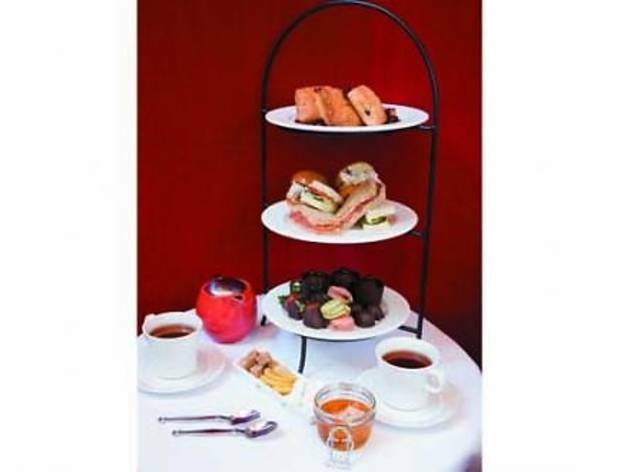 Holiday Afternoon Giving Tea is offered Monday through Friday, Nov 28–Dec 16. Seatings begin at 3pm. $38, kids $15 or free with toy donation. Caroling, sipping and feasting on roast-beef finger sandwiches and scones with lemon curd are what’s in store at one of the city’s most Old World teatime spots. Live harp music is played daily; carolers peform Dec 13–24, and Santa appears on Dec 14 and 21 from noon–4pm. 140 E Walton Pl (312-932-4619). 11am–5pm daily. Nov 25–Jan 1. $36, ages 4–12 $18. Proving that sophisticated teatime can exist outside of downtown, this Bucktown bakery offers an afternoon tea of scones with clotted cream, cucumber-and-goat-cheese finger sandwiches and an assortment of sweets made by the Australian pastry-chef owner, Naomi Levine. 1944 N Damen Ave (773-384-4418). noon–6pm daily. $22, kids ages 8 and under $12. At the hotel’s Joffrey Ballet Tea , guests can interact with Nutcracker ballet students during weekend afternoon tea service in the lobby. At weekday tea, cookie decorating and gingerbread-flavored tea keeps kids occupied while adults sip unusual teas like the Emperor’s Dragonwell (picked only two days of the year) from Rare Tea Cellar. 17 E Monroe St (312-917-3404). Joffrey Tea held Saturdays and Sundays through Dec 31. 2–4pm. $35, kids $18 ($10 for cookie decorating only).